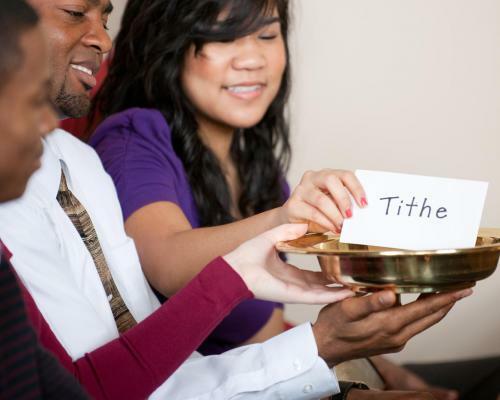 All my life as a 53-year-old, I have paid tithe, and God has provided all my needs. I have had hard times, but I am convinced God knows all about us. During the past four years, I have had problems with noisy neighbours. I prayed that God would help me. So I put my name down for a unit at the Auckland Adventist Retirement Village in February 2003. In June 2004 I was in Wellington, with a friend, in the theatre watching Sleeping Beauty on Ice. During the interval break I bought an ice-cream, and as I came back into the theatre, eating it, the Lord spoke to me: "Susanne, Bethesda Village. Susanne, Bethesda Village." Later, in my hotel room, I heard the same voice. I prayed that night for the Lord to lead me in business matters, and guide with any possible move. The Lord did lead me. Within three weeks a unit became available at the Adventist retirement village and they gave me three months to sell my unit. This presented another challenge, but I prayed and had faith. I lived in a block of eight units, and Unit 6 had been for sale for the previous year. On July 4, it was sold. Three days later, at 10.30 am, the agent put up the For Sale sign outside my front door. By 2.30 pm, No 6 homeowner, Richard, came to my door and told me he also wanted to buy my unit. He came in to look around. That night I prayed that he would buy my unit. In the next few days, I started clearing out things and sorting things that I'd had for years. Within six weeks of selling my unit and buying my unit at the Adventist village, it was all done. In September, I moved into the Adventist village. The real estate agent, Ian, who is a Baptist, did not charge me a fee, as he told me it was a quick sale. He and I had prayed together about it. I am very thankful for the way the Lord has led me. My advice is this: Trust in the Lord always. Do not worry. So I tell you, don't worry about everyday life--whether you have enough food, drink, and clothes. Doesn't life consist of more than food and clothing? Matthew 6:25. Susanne Smith now lives in the Bethesda Adventist Retirement Village, in Manukau City, New Zealand.